We, at Rasuka Cables Pvt. Ltd. are engaged in manufacturing and supplying Multi Core Flexible CCTV Cables that are suitable for various electronic circuits & Video Signal wiring requirements. 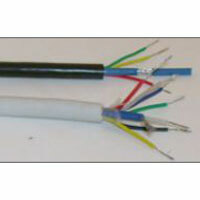 These Multi Core Flexible CCTV Cables are precisely made by adopting quality methods and using well-tested materials. The clients can avail the Multi Core Flexible CCTV Cables from us at the most affordable prices. To inquiry about the desired product(s), just check the box and then click â��Inquiry Nowâ�� button which is provided below.